Immigrant Visas for Mexican and Indian Religious Workers No Longer Available - Volpe Law Firm, P.C. • As of July 1, the priority date for applicants from Mexico became January 1, 2010. • As of August 1, the priority date for applicants from India became January 1, 2010. This means only those applicants for whom an I-360 Petition for Special Immigrant Religious Worker was filed before January 1, 2010 will be eligible to apply for Adjustment of Status and receive a green card. However, this does not mean these religious worker applicants will have to wait six years in order to adjust their status. They will likely be able to adjust their status beginning in October, 2016. Section 201 of the Immigration and Nationality Act (INA) sets an annual minimum for employment-based preference immigrants of at least 140,000, and there are a number of ways the amount of available visas can increase. Section 202 prescribes that the per-country limit for preference immigrants is set at 7% of the total annual employment-based preference limits, or 9,800. Now, if there are remaining visas that haven’t been used, a country can exceed the per-country limit to use up the remaining visas. In the past, there hasn’t been enough demand for special immigrant religious worker visas and religious workers from Mexico and India have been able to get visas beyond the per-country limit. Unfortunately demand for this category of employment-based visas has risen dramatically and countries like Mexico and India are now being limited to the per-country maximum of 7%. So what USCIS has done is to say that after July 1st, no more applications for Adjustment of Status can be filed by applicants from Mexico, unless their I-360 Special Immigrant Religious Worker Visa petition was filed prior to January 1, 2010. And the same is true for applicants from India starting August 1. Why January 1, 2010? This is basically an arbitrary date and the effect is to stop all applications for Mexican and Indian national religious workers. The good news is that these limits have only been reached for fiscal year 2016, which runs from October 1, 2015 to September 30, 2016. As of October 1, 2016, new visas will become available for fiscal year 2017. USCIS is currently projecting that Mexican and Indian nationals will be able to file for Adjustment of Status immediately beginning in October. Does this mean we cannot file an I-360 Petition for Special Immigrant Religious Worker for a Mexican or Indian religious worker? Definitely not. There is no limit to how many I-360 petitions can be filed an approved. 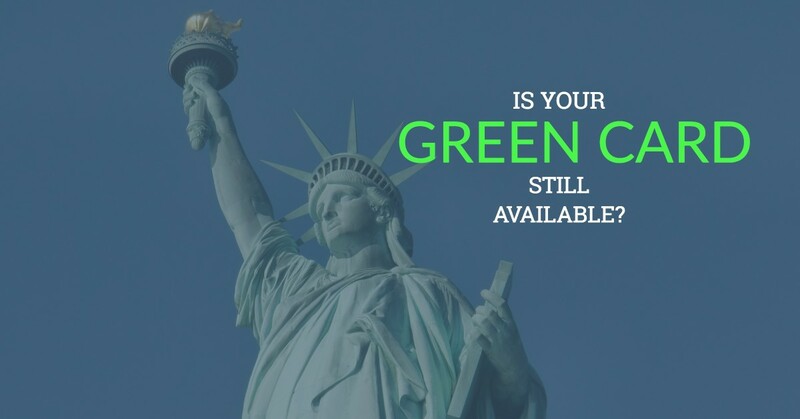 There simply might be a period of waiting before the Mexican or Indian religious worker can file an Adjustment of Status application to obtain a green card. If I am eligible to adjust, when should I file for my green card? It is always best to file an Application to Adjust Status as soon as possible. For Mexican or Indian nationals, it would be best to file immediately in October when new visas become available. Demand for religious worker green cards is not likely to go down, so at some point next year USCIS may stop accepting these applications again. As an employer of religious workers, how should I adjust my policies and procedures? We have some clients that begin the green card process for their employees immediately after the employee has been working for two years. Others prefer to wait until their employees have been working in R-1 status for the full 5 years permitted for R-1s. In light of the fact that these limits for immigrant visas are now being reached, it is best to seek permanent residence (green cards) for your workers sooner rather than later. In this way, you don’t risk your employee having to leave the US to wait for a permanent resident visa to become available. What about religious workers from other countries? Currently, the only other countries that have a shortage of green cards for religious workers are Guatemala, El Salvador and Honduras. Green cards for religious workers from these countries have been unavailable for some time now. Religious workers from other countries are advised to apply for green cards as soon as possible because all other countries could hit their limit at any time. If you have any questions regarding these changes, we are always happy to discuss them. You can contact us here.